In Chinese, I guess because words are more drawn than written, they have a special kind of weight to them. A word in Chinese, particularly a written character, is an invocation. That’s why people hang up the character for “good luck” on the wall — the character doesn’t just indicate the word, it embodies it. So by extension, names in Chinese can also carry a bit of freight. I like to think of them as wishes that parents make for their children and then hand to them to carry for the rest of their lives (no pressure). So you see lots of happiness, beauty, literature in names, things like army and navy, or, more poetically, stones and waves. My Chinese name is Ya 雅 Lian 连. My mother and her elder sister thought of it together before I was born. They were doing this in Cantonese, of course, so on my birth certificate they spelled it Nga-Linh. When I asked my mother what it meant, she just said, “purity.” I will admit to being underwhelmed; that didn’t sound very interesting. When I went to China, I was suddenly in need of my Chinese name. Nga-Linh meant nothing to my teachers, who were Mandarin speakers, so I asked my mother to fax me the characters (and that is another wonderful thing about characters; they are pure meaning, understood across all dialects, true as mathematical formulas). That is how I learned that my name , Ya Lian in Mandarin, actually means “Elegant Lotus.” Of course, my mother was right — the lotus is a symbol of purity because it can rise from the mud and flower, a sparkling and pure thing of beauty that transcends its surroundings. Suddenly my name seemed a lot more interesting. I like to think that our children’s names also hold wishes in them, although their names are Turkish. Kaya means rock, and although I am not particularly religious it always makes me think of Peter (which also means rock, of course) and how Jesus said “upon this rock I will build my church” to him and he was the rock (no pressure). I feel like it is a dependable and strong name. Baki’s name means “what remains” which we gave him not only because there is a poet with that name (from the days before surnames, so he is known as Poet Baki) that Ali admires for having been able to work his own name into a couplet, but also because Baki the baby was calm and cool all throughout my long labor, his heart rate never fluctuating. But to me the name contains the wish of every parent: that our children remain on this earth long after we have been committed to it. Wonderful once again, especially the meaning of baki is fascinating and a truely honest wish! Yaşasın! It does come in handy to have a Chinese name when you are in a Chinese speaking environment! I loved having a name to use while I was there that I had a real family connection to. You have lovely names- . When I was growing up, people used to tell me they had a German Shepherd named Heidi. It was really demeaning to have a dog’s name. I like your sesame seed toaster- I like toasted sesame seeds and tend to burn them in a skillet. They were probably just bummed that their name didn’t conjure images of edelweiss and pails of milk. I have to shake the toaster energetically to avoid a similar fate for my seeds, but it works beautifully. 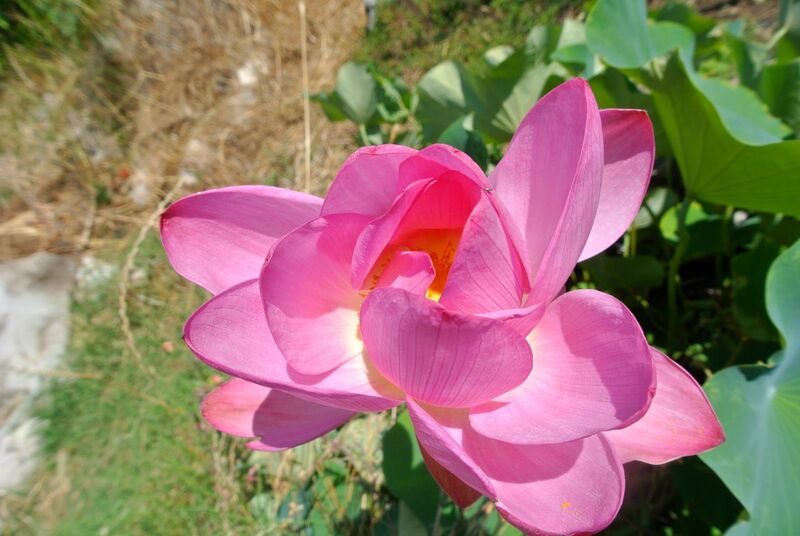 The lotus blossom is beautiful and I can see why your mother gave you your name. Thank you so much. 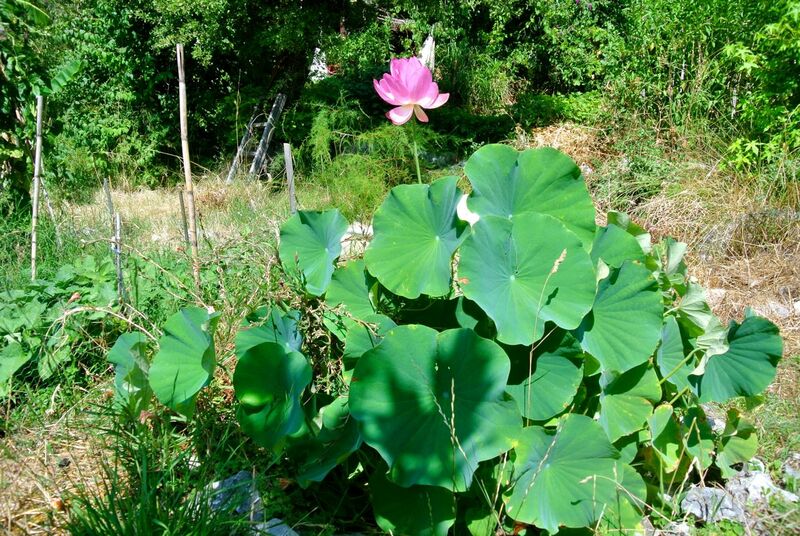 I’m glad she did – I love lotuses, but this makes it personal!